This email came through about half an hour ago. A new bonus from the folks at Carlson Rezidor hotels that is open to everyone (unlike the Trio of Bonuses last week). 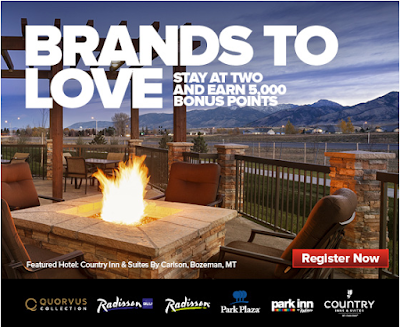 Simple offer of 5,000 bonus points when you complete stays at two of their hotel brands.